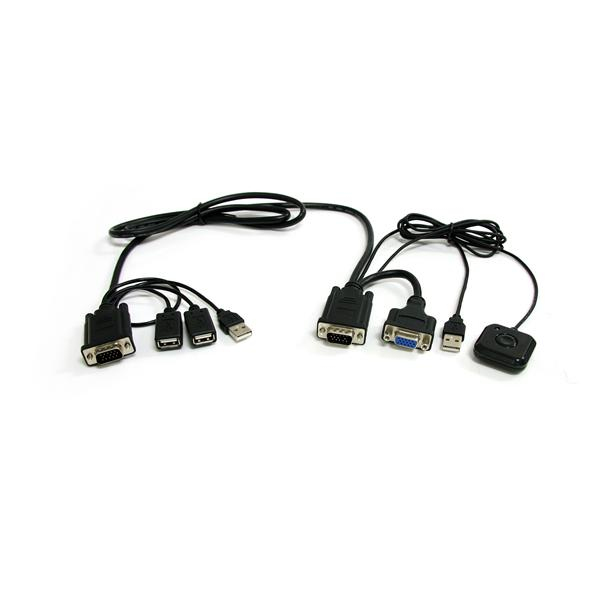 The SV221NANOU 2-Port USB VGA KVM Switch lets you control two computer systems using a single USB keyboard, mouse and VGA monitor. 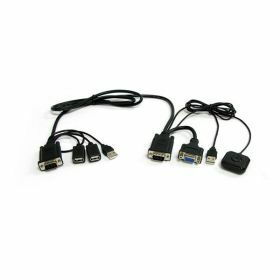 The compact USB VGA KVM has a minimal footprint design that helps to organize your desk setup without sacrificing control or convenience. The switch features a push-button on a 1.5 meter (5ft) built-in cable that can be placed in an easily accessible location, and keyboard hot-keys for switching, making it easy to manage both of your connected computers. 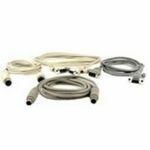 Saving further space and clutter, the cable KVM draws power from USB, eliminating the need for a bulky external power adapter. 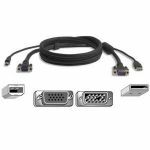 Offering support for extremely high resolutions (up to 2048x1536), this KVM has the ability to drive large VGA displays with crystal clarity, for applications that require outstanding graphical output. Backed by a StarTech.com 2-year warranty and free lifetime technical support.